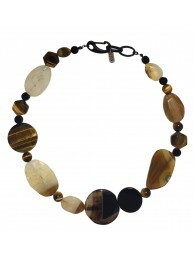 This stylish necklace features various shapes of beautiful onyx gems. 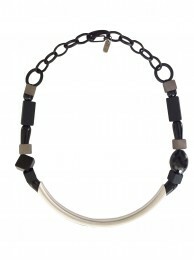 A mixture of black and grey em.. 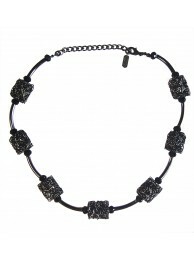 Complete your look with this fashionable necklace. 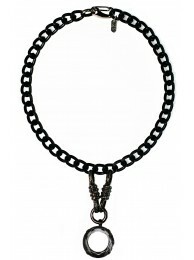 It features a river off chain, held by a ste..
O, for outstanding. 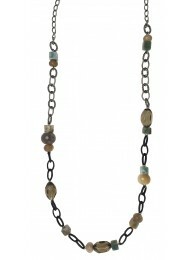 This agate necklace has the most intricately textured golden chain. 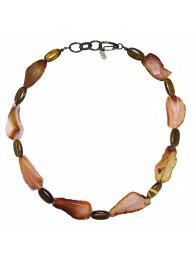 Simple in it..
For a truly delicious dazzle, this necklace is perfect for the job. 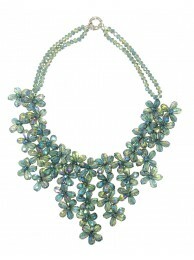 These delicate crystal flowers w..
Be all classy with this eye-catching-necklace. 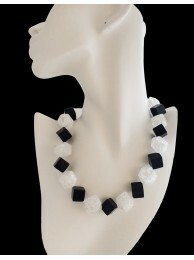 Designed to accent the neckline with this contrast be.. 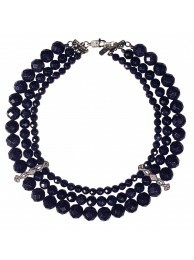 This necklace is perfect for expressing your ever-creative fashion sense, all while keeping it casua.. Looking for something casual? You've clicked on the right choice. 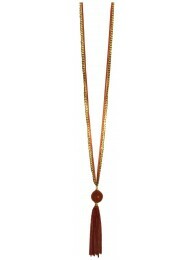 This long necklace, made of multi-..
Give in to your cravings for elegant and contemporary look with ESTA. 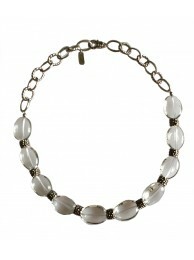 Combining beads of white ..
Polish off your look with these frosty, transparent gemstones. 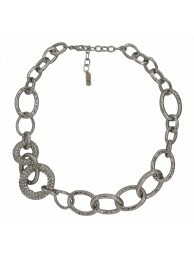 United together with silver sterling .. 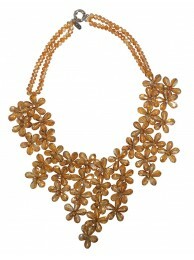 This twinkled statement necklace, is your definite escape to pure elegance. Featuring teardrops of G.. 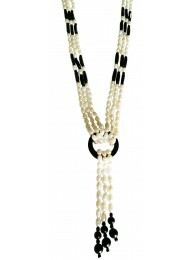 Salute your wild identity with this cutting-edge necklace. 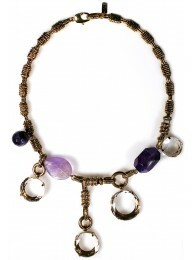 Made of purple colored multi-stones; Amet..
Keep it casual with 11 times the charm. 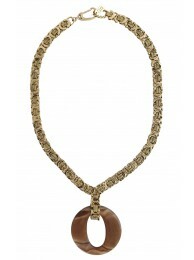 This elegant necklace carries delicate, perfectly squared, T..
ESTA, where edgy fashion and glamourous design collide. We present to you, two layers of embellished..
Give your look a ladylike layer. 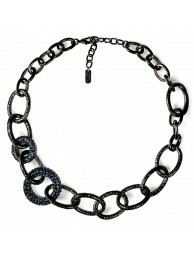 This elegant necklace adds a luxe to your day, with blue shiny sand..
Fall in love with this striking jewelry. 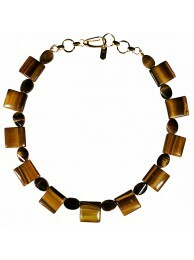 Made from 3 peculiar Agate stones with shades of brown, a s.. 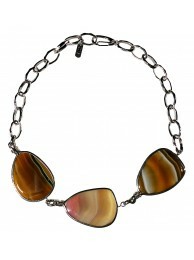 Nothing can beat this Agate necklace. 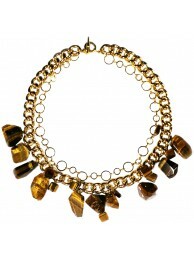 Exotic in it's mix of earthly colors, and natural various shap..
Go bold and go out! 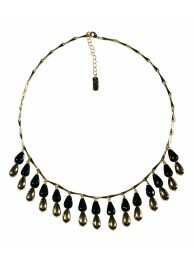 This necklace calls for attention with all its various shapes and shades of brow.. 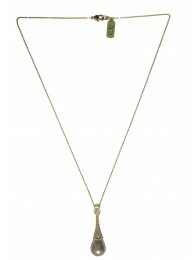 The gemstones forming this necklace always gets you in awe due to its simple yet magical beauty. To .. 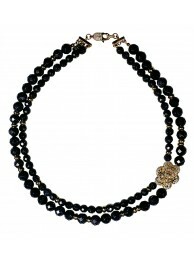 This dashing black onyx necklace, held by a golden chain, has the power of making your knees weak. T.. 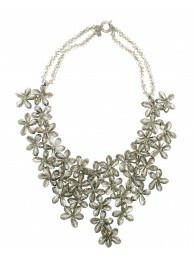 This bold metallic necklace adds a hint of edge to your neutral everyday look. Will make you feel mo.. 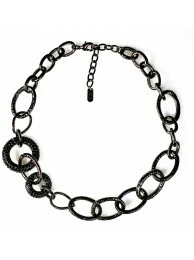 This Amazing gunmetal metallic piece is a wear anywhere-anytime type of necklace wether you're ..
As its venom, this snake pendant will course through your veins an addiction to it. Graceful and sed.. 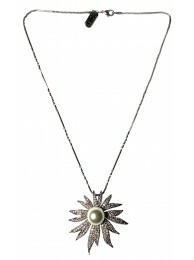 Simple yet mesmerizing, this faux pearl pendant makes your outfit an elegant one, that's 'The Pearl'.. 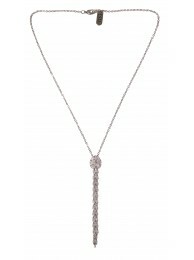 This gorgeous pendant resembles to a blossoming flower in the midst of which lays a hypnotizing big ..
How simple a metallic chain can be, yet how much difference it can make regrading your outfit. It wo.. 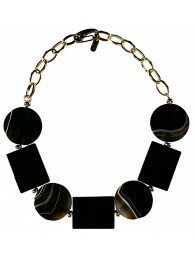 This beautiful artistic Onyx necklace is a true piece of art. The simple alternation between the sil..